SARASOTA, FLORIDA, April 17, 2018 – Columbus, Ohio-based national builder M/I Homes continues to expand its presence in Sarasota. It has recently lined up two projects in the county, both of which are east of Interstate 75: Hidden Creek on Fruitville Road and Rivo Lakes on Clark Road. In addition to these initiatives sure to boost the stock of Sarasota homes for sale, M/I hopes to open three more local housing projects in 2018. 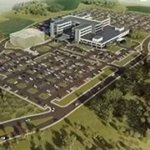 These initiatives notably came after M/I opened a Lakewood Ranch-based division in 2016 to pursue more opportunities in Sarasota and Manatee counties and oversee its existing local projects erstwhile managed from Tampa. Hidden Creek’s Fruitville Road site is a 90-acre parcel some three miles east of Interstate 75. This area is a notable hunting ground for pre-owned Sarasota homes for sale in two well-established golf communities—mid-priced choices at Tatum Ridge and luxury options at The Founders Club. M/I plans 170 single family homes and villas for Hidden Creek. A significant number of these builds shall be attainable housing priced from the mid-$200s to the high $300s as defined in the county’s home affordability guidelines. At this price range, the builder aims to provide homes with monthly payments approximately equal to, or even less than, rentals of similar-sized residences. The price points for Rivo Lakes’ residences have been announced as ranging from the $400s to the $700s, with their marketing set to commence in the 2018 third quarter. These planned Sarasota homes for sale are set in a 67-acre property south of Clark Road where many new neighborhoods are also rising, especially around the area of the existing community of Eastlake. Rivo Lakes is touted as the first housing project designated as a conservation subdivision under the 2050 growth plan of Sarasota County. It was designed as a Tuscan-inspired luxury community featuring a gated entrance, wide conservation landscape buffers, walking trails and well-designed common areas. This community is set for 107 single-family homes on 80-foot lots and with floor areas ranging from 2,291 to 5,000 square feet. M/I Homes’ local projects already onstream include Twin Rivers in Parrish, The Residences at Bougainvillea Place in Ellenton, and the Bradenton communities of Brookside Estates and Creekwood Townhomes in Bradenton. 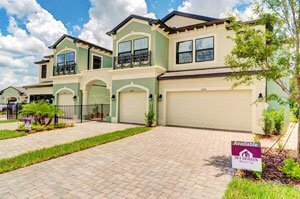 Displaying this builder’s high caliber, a townhouse model at Creekwood emerged best overall in its category in the 2018 Sarasota‒Manatee Parade of Homes. This design, branded as the Devonshire II, was also cited as best in architectural detail, floor plan, master suite and kitchen. A three-bedroom residence with two baths and a half-bath plus a two-car garage, this townhouse is priced starting from the high $200s. M/I has also established its footprint at the Muirfield Village and The Woods at Sylvan Lea in Sarasota. 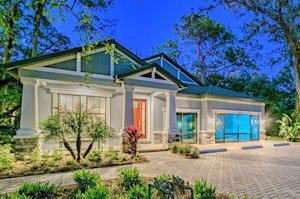 An M/I build at Sylvan Lea, the Crystal, was also a standout in the 2018 Sarasota‒Manatee Parade of Homes. It was best overall in its category, riding on its citations as best in kitchen, master suite, floor plan, and architectural detail. This design is priced starting from the high $300s. More samplings of M/I Homes’ local market entries could also be found in the Oasis at West Villages in Venice which started selling in earnest just early this year. This builder has set nine designs to choose from at the Oasis neighborhood, with their floor areas ranging from 2,180 up to 3,759 square feet. Featuring three to five bedrooms, these residences are priced from the $300s to the $400s and are surely emphatic of M/I Homes’ presence in the local housing markets.